Why Refinance into a Conventional Home Loan Program for California Home Owners? The traditional home loan program with Fannie Mae or Freddie Mac offers diverse lending products with no monthly mortgage insurance even with a higher loan to value of 95%. When exploring your home loan options to refinance out of your current loan and into a lower fix rate, look at a conventional loan program first. The Conventional loan program in California will be based on several factors of the borrower(s) such as: middle credit score, loan to value (loan amount based on the appraised value of the home), cash-out or rate and term refinance, type of property (Single Family,1-4 Units, Condo, Owner Occupied Property or Investment Property, Impound Account, Loan Amount and Credit History when it comes to a Bankruptcy, Short Sale, Foreclosure and Deed-In-Lieu ). Why should you look at this option first when looking to refinance your California property?  This program allows the homeowner many more options when it comes to the structuring loan then a FHA, USDA or VA refinance home loan program. Once we run your refinance home loan request through the automative underwriting system with Fannie Mae known as DU (Desktop Underwriting) or Freddie Mac's system known as LP (Loan Prospector), we will know if assets are required, how many years of tax returns are required and how large of a loan amount your will be pre-approved for, your loan still will need to be reviewed by an underwriter to determined lendable. The 2 systems will at least give you a point of reference to work with and will inform the lender on what is required for a full loan approval. To start the pre-approval of a refinance, speak with a licensed mortgage professional (such as myself) to discuss your needs with a refinance, such as looking to remove monthly mortgage insurance, cash out to pay off debt, combine 2 or more liens on the property into one low fix mortgage payment or remove someone for the loan or title of the property. At the first initial contact the loan officer should determine if any major derogatory events will appear on your credit report such as a bankruptcy, short sale, late pays, foreclosure, judgements or collections, this will not take you out of the refinance depending on when the events occurred. So before you self underwrite your loan because you heard from someone outside the mortgage industry, speak with a mortgage professional because lending guidelines change all the time and those in the lending profess know how to stay informed of the changes that our industry goes through. Who should you speak with when applying for a conventional home loan refinance program? A licensed mortgage professional, this individual will have their National Mortgage Licensing number known as NMLS, my number is 292056. Start off by asking for the loan officer's NMLS number, this individual is properly licensed to present home loan options to you. Make sure you look their license number up HERE to ensure you are speaking with the right person and their license is current. With a decision like refinancing your home, work with a properly licensed loan officer to ensure they have your best interest in mind. I welcome the opportunity to assist you with a conventional refinance home loan in California to lower your overall mortgage payment or remove the mortgage insurance you currently pay. It does not hurt to explore your available lending options with a home refinance. At least you will know what is available to you and if this is not the time to move froward with the refinance, you will have a blueprint on what it will take to facilitate a loan when the time is right for you. Contact me at 909-503-5600 to discuss your plans with a conventional home loan in California. Let's Begin Exploring Your Refinance Options! Please complete the short inquiry form below and I can get started on my preliminary review of your home.